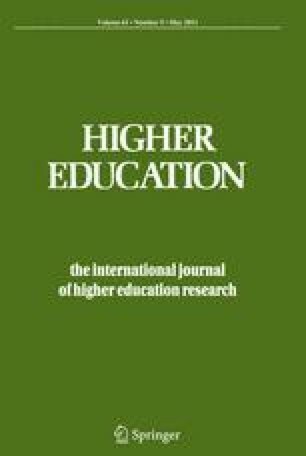 The paper reviews Asia–Pacific higher education and university research, focusing principally on the “Confucian” education nations Japan, Korea, China, Hong Kong China, Taiwan, Singapore and Vietnam. Except for Vietnam, these systems exhibit a special developmental dynamism—still playing out everywhere except Japan—and have created a distinctive model of higher education more effective in some respects than systems in North America, the English-speaking world and Europe where the modern university was incubated. The Confucian Model rests on four interdependent elements: (1) strong nation-state shaping of structures, funding and priorities; (2) a tendency to universal tertiary participation, partly financed by growing levels of household funding of tuition, sustained by a private duty, grounded in Confucian values, to invest in education; (3) “one chance” national examinations that mediate social competition and university hierarchy and focus family commitments to education; (4) accelerated public investment in research and “world-class’ universities. The Model has downsides for social equity in participation, and in the potential for state interference in executive autonomy and academic creativity. But together with economic growth amid low tax regimes, the Confucian Model enables these systems to move forward rapidly and simultaneously in relation to each and all of mass tertiary participation, university quality, and research quantity and quality. The article is a revised version of a keynote address to the international conference of the Higher Education Evaluation and Assessment Council of Taiwan, Taipei, 4 June 2010. Central Intelligence Agency, CIA (2010). The World factbook. Data on Taiwan. Accessed July 14, 2010 from: https://www.cia.gov/library/publications/the-world-factbook/geos/tw.html. Centre for Science and Technology Studies, Leiden University (CWTS) (2010). The Leiden ranking. Accessed March 12, 2010 from: http://www.cwts.nl/cwts/LeidenRankingWebSite.html. Daily Yomiuri Online (2010). Japan, China, S. Korea mull academic credit system. Accessed on March 15, 2010 from: http://www.yomiuri.co.jp/dy/20100301TDY02304.htm. Japanese Student Services Organization, JSSO (2010). Data on international students in Japan. Accessed on February 2, 2010 from: http://www.jasso.go.jp/statistics/intl_student/data09_e.html. Levin, R. C. (2010). The rise of Asia’s universities. Speech to the Royal Society, London, February 1. Yale University Office of Public Affairs. Accessed April 17, 2010 from: http://opa.yale.edu/president/message.aspx?id=91. National Science Board, NSB, United States (2010). Science and engineering indicators 2010. Accessed April 18, 2010 at: http://www.nsf.gov/statistics/seind10/. Shanghai Jiao Tong University Graduate School of Education, SJTUGSE (2010). Academic ranking of world universities. Accessed April 17, 2010 from: http://ed.sjtu.edu.cn/ranking.htm. Sharam, Y. (2010). China: More autonomy for universities. University World News April 4. Accessed on April 5, 2010 from: http://www.universityworldnews.com. UNESCO Institute for Statistics (2010). Data on education. Accessed October 2, 2010 from: http://www.uis.unesco.org/ev.php?ID=2867_201&ID2=DO_TOPIC. World Bank (2010). Data and statistics. Accessed April 17, 2010 from: http://web.worldbank.org/WBSITE/EXTERNAL/DATASTATISTICS/0,,contentMDK:20798108~menuPK:64133152~pagePK:64133150~piPK:64133175~theSitePK:239419,00.html.